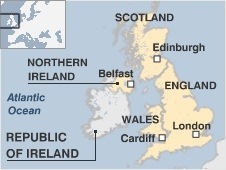 Country name: United Kingdom (The United Kingdom is made up England, Scotland, Wales and Northern Ireland). Climate: The climate in the UK is variable. Go to the BBC weather website for more information. You’re welcome, Rhys! Lewis the Lion will get around to writing all about his adventures with the Goblin Go-Kart just as soon as he can. He thinks there’s a Lewis Hamilton in you all somewhere! It’s great to see your still traveling ive came back to read up on your blog and……….. i just expected you to take a break! Lovely to hear from you! I know I’ve still got to write the story from our time Goblin Go-Karting. I’ll get there eventually – not long till I catch up now! Lewis the Lion wonders if you’ve got back into a go-kart since last year and wonders what life is like at secondary school for you? Hope all’s going well. Lewis the Lion sends you lots of sunny rays from Dubai.